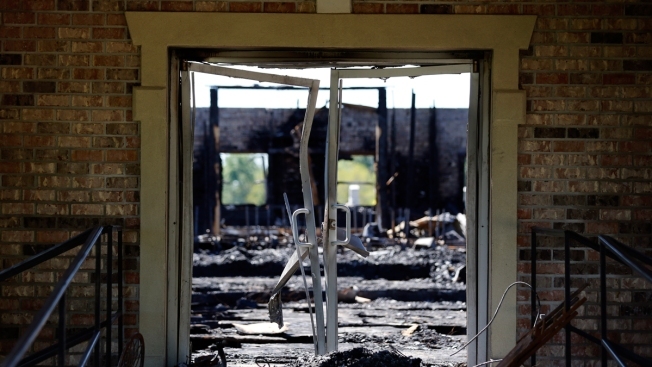 The burnt ruins of the Greater Union Baptist Church, one of three that recently burned down in St. Landry Parish, are seen in Opelousas, La., Wednesday, April 10, 2019. A crowdfunding campaign for three African American churches in Louisiana recently gutted by arson reached seven digits Wednesday after social media posts urging the public not to forget the plight of the small houses of worship as the eyes of the world were on the fire-ravaged Notre Dame cathedral in Paris. Freelance journalist Yashar Ali, with 395,000 followers, struck a similar tone, tweeting that the Notre Dame restoration "will be well funded" and urging support for the Louisiana churches. The son of a local sheriff's deputy was arrested and charged with burning down three historically black churches over the course of a week. 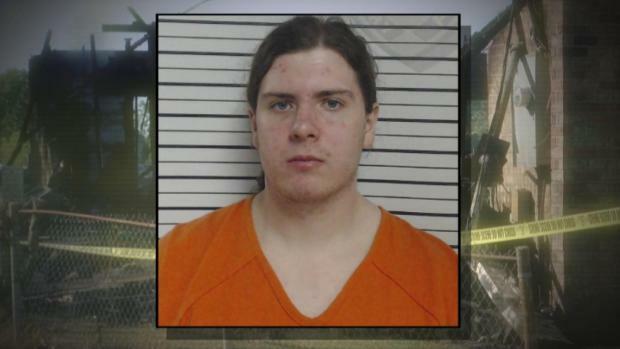 Holden Matthews, 21, could face more charges if authorities determine the arsons were hate crime. The campaign has raised more than $1 million as of Wednesday morning, after hitting $500,000 the prior evening. The more than 18,400 contributions range from $5 to thousands of dollars. We did it! We just crossed the 1 million dollar mark!!!!! Look at what you got done!!! I may be crying in a Starbucks right now, I am so moved by your generosity!! !